When artists Cheri Pann and Gonzalo Duran first moved into their Venice home, it was nothing more than a simple, rather drab house. 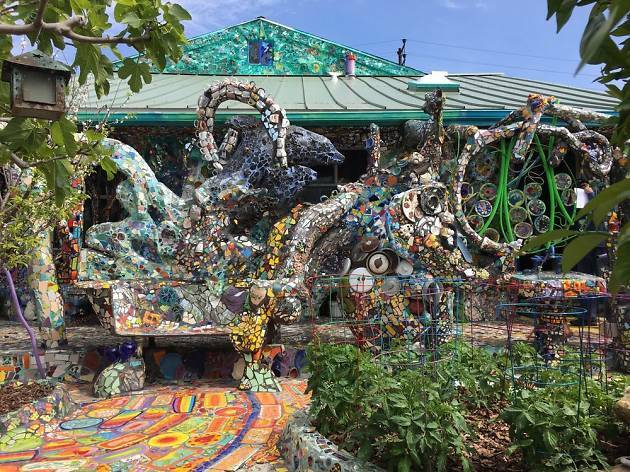 But over the couse of a decade, the couple transformed their live-work space into a spectacular collage of colorful tiles and stone and clay wares. 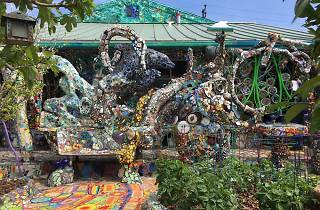 The Mosaic Tile House is only open Saturdays 1-4 pm. Please check website for closed days.